premium milano leather look (embossable). quick, easy removal & installation for rear camera use. adjustable horizontal & vertical display stand function. suitable for tablets 9-10.5 inches. faux suede lining. multiple card pockets. storage pocket. elastic closure. pen loop. size 19.5 x 26.8 cm. Soft touch silicone holder for keeping electronic cables tidy and tangle free. Colours: White, Red, Blue, Black. Dimension: L 42mm x W 27mm x 11mm. Print Description: 18mm x 10mm (oval). Print Type: Pad Print. Packing: Loose packed. 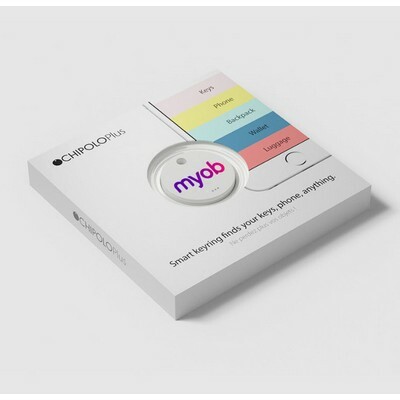 Chipolo is a Bluetooth enabled leash that wirelessly tethers to nearly any Bluetooth enabled mobile phone. It helps you find your stuff, whether it's lost or was just left somewhere. Chipolo isn’t just portable. It’s wearable, too. Clip it to your home or car keys, wallet, backpack, cat, dog - you name it. Chipolo has a range of about 60 meters (200 feet), and it remembers its last location - even when out of range. FREE iOS and Android application. Works with Bluetooth 4.0. World's loudest Bluetooth tracker (Chipolo Plus) Water resistant (Chipolo Plus). Colours: White, Black, Blue, Red. 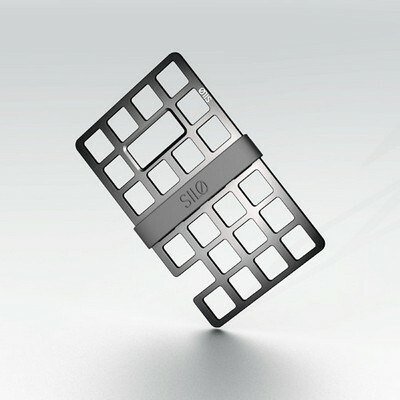 Silo Mesh Card is the modern multi-tool for your pocket. Keep it in your wallet or let it become your wallet. Crafted from Titanium with scratch resistant TiCN coating, the Mesh Card is built to last and includes removable silicone band for holding cards and currency. Thin and versatile; this ultra-light wallet is also a Smartphone stand, bottle opener and will even help shield your credit card details from RFID theft. Colours: Black. 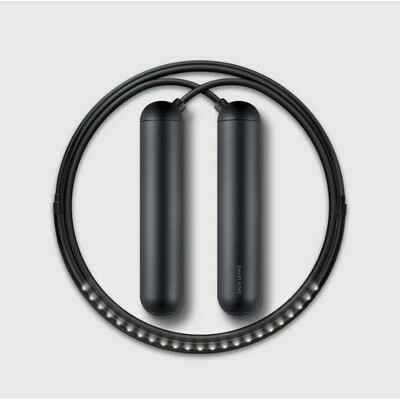 Smart Rope is an LED-embedded jump rope that displays your fitness data in mid-air, as you work out. Features: Fully charged in 2 hours, can be used for 36 hours of active exercise - or more than 30 days of hour-long workouts. Smart Gym App (available free on iOS and Android) is the fitness platform that works seamlessly with Smart Rope. Pairing with Bluetooth 4.0 LE (Low Energy). Colours: Black, Chrome, Gold.